Season 6 hub which is updated daily! We’ve pulled together everything you need to know about Season 6 – from gameplay improvements to what is in the battle pass – related stuff and big announcements. Treat this as your own personal Fortnite season six ‘hub’ – we’ll be updating it daily, so you’ll always be in the know. Let’s kick off with what’s new. And for everything you need to know about Fortnite Season 7 click here! If you want to see how to challenges from the previous weeks of Fortnite Season 6 click here! On top of the of the mountain west of Dusty Divot. Week two challenges for Fortnite Season 6! Want to see everything there is to know about Fortnite Season 7? Click here! Here are the top of the line things you need to know. As with last season, there are 100 levels with over 100 new rewards. As Fortnite leakers correctly predicted, pets are now available in-game! They look cute and they sit on your backpack! A new consumable item can be found scattered around the map, similar to the hop rocks from Season 4. However, this item lets you turn invisible, phase through walls and then suprise other players by appearing out of nowhere and killing them! Drop in to take a look at the new floating island above Loot Lake that has been jumped into the air by the effects of the purple cube. New corrupted areas have sprouted up around the map as well, presumably ahead of Halloween. Watch the trailer for Season 6 below! Check out all the brand new Darkness Rises Season 6 trailer here! Everyone has had a chance to get into Season 6 of Fortnite by now. You will have noticed that the map has more of an ominous feel to it since the season began. The new ‘Dark Rising’ theme has introduced corrupted areas to the map alongside, shadow stones, and a haunted castle! 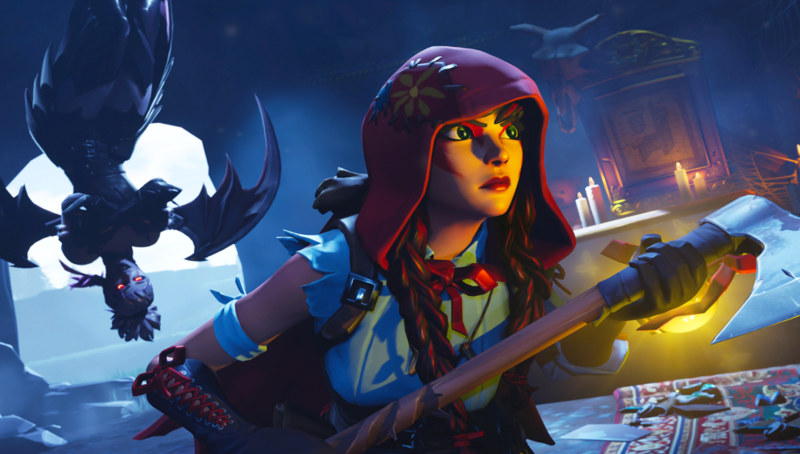 Well, as a lot of fans predicted, Halloween skins are going to be making a comeback this year. A recent leak has shown us what they are going to look like. This year’s Halloween skins are a male and female scarecrow named Straw Ops and Hay Man respectively. The leak also included two unique back blings and picks (no pets though). The best thing about the leak was the reveal of two gliders that will accompany the straw-filled soldiers. Also, there will be some cool new emotes coming to the game, one of which is the T-pose. For all the latest info on Fortnite Season 7 click here. EPIC games have tweeted out a few teaser images for Fortnite Season 6. The first image showed a Llama DJ wearing shades with a purple bolt of lightning striking across the image. Not giving away too much I know. Fans thought this might have been a hint towards the hidden theme of Season 6, maybe a disco party theme. However, the latest image posted by Fortnite to all social channels depicted a cowgirl sporting a balaclava and a traditional cowboy hat straight out of Red Dead Redemption. The caption to the image, ‘Saddle up’ is fairly self-explanatory. As with Season 5 of Fortnite, the skins revealed early are usually central to the ‘storyline’ of the following Season and will be part of the battle pass. So don’t be surprised if you find yourself rocking one of these two skins come day one of Season 6. It is disappointing to see that at first glance these two skins don’t seem to have a related theme. 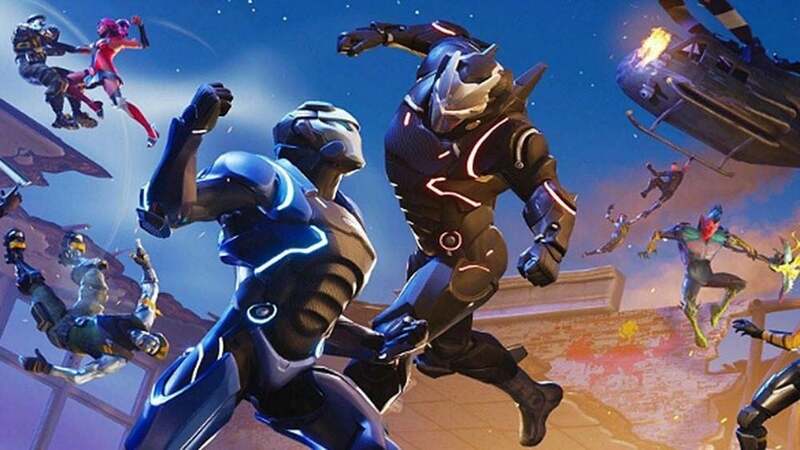 After Season 5, which didn’t have a concurrent theme, Fortnite players are keen to see something similar to Season 4 where there was a very clear superhero theme running throughout the Season. We will hold our judgements back for now, however, as all has not been revealed. The cube has been haunting Fortnite players for nearly a month now. After all the speculation at the start of season 4 around whether Tilted would be destroyed the prophecy has finally been fulfilled… in part. The new building in Tilted that has been under construction and slowly built since the start of Season 5 was last night crushed by the giant purple cube. The new building had its grand opening only recently, with balloons celebrating the special occasion. According to Fortnite leaker ‘Silox’ on Twitter the cube will reach Loot Lake today where something will happen. 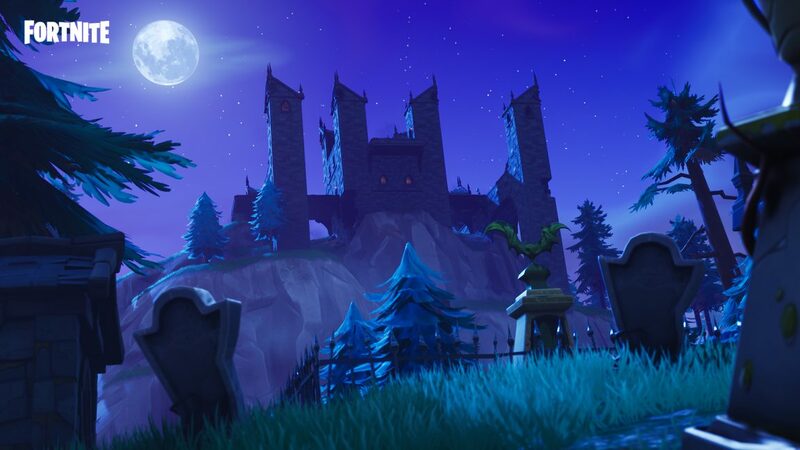 New location Crazy Castle coming to Season 6! The in-game events are ramping up with the cube scattering far and wide whilst slowly and methodically making it’s way to a destination that as of now is still undisclosed. Perhaps one of the biggest changes that are coming to Season 6 is those to the map. Players and fans of the battle royale game have been speculating and theorising as to what will happen once the cube explodes and what the map is going to look like. Well, particularly savvy fans think they have found out where the new location is going to be on the map and what it is called. Epic Games released a Crazy Castle spray in the season 5 Battle Pass. The spray, titled Crazy Castle follows the alliteration model used for all points of interest in Fortnite. This speculation led to fans thinking it could be a clue as to what we could expect next season. Further to this, a short video promoting one of the new Fortnite emotes the background has completely changed. In the distance, you can see what look’s like a castle, located near Pleasent Park. 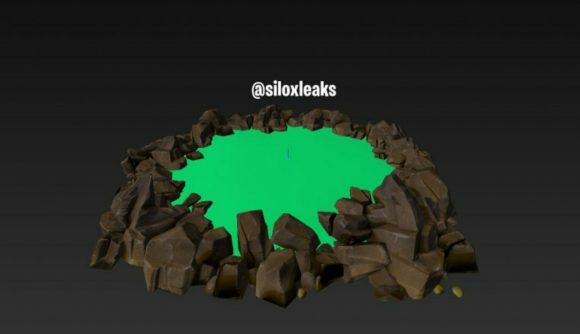 If this is the case we could see a huge castle appear in place of Loot Lake or maybe in the middle of the Lake with a moat around it. We bet fans of Fortnite‘s battle royale mode never expected to be able to have pets follow them around in-game. This mysterious bunker has been in the game since the end of Season 4. The cube is slowly making its way to an undisclosed area of the map to wreck havoc… or is it? Conspiracy theorists do have there uses, especially when their efforts are targeted at finding out all of the secrets Fortnite has to offer. This latest theory goes pretty deep and has potentially solved the riddle of what exactly the giant purple cube is. Could the cube spell disaster for Season 6? If the current path the cube is taking continues, it will soon hit the centre of the map and we assume some sort of event will take place. However, what if the cube isn’t heading anywhere and it is actually drawing a rune on the ground? Runes are known to be a part of Norse mythology so this theorist went to the Viking ship and found two runes on the sail. The two runes stand for ‘Renewal’ and ‘Transformation’ if it’s true that the purple cube is drawing out these runes we could be seeing the end of the map as we know it. Ragnarok in Norse mythology signals the end of the world. DeanMDx believes that this is what the cube has been sent to do. If we are going to see Ragnarok just before the start of Season 6 could the new theme be Viking themed? Check out the full theory video below. Fans and Fortnite theorists alike have been speculating as to what will happen to the map once the cube has done what it needs to. A lot of fans believe the cube will end its journey at Loot Lake changing the (once great) looting spot into a totally new point of interest for players to land and explore. Game concept designer ‘Sardar YT‘ has designed a concept map for Season 6 of Fortnite, with the assumption in mind that the cube stops at Loot Lake wrecking a large portion of the map. With a whole new biome and cracks spreading across the map could this be what Season 6 has in store for us? The ‘apocalypse’ map is a brilliant concept but still leaves a lot of questions unanswered. What is in the cracks? Will the water be shallow, or will players gain the ability to swim and fight? Is the theme going to be ‘apocalyptic’, ‘Norse mythology’ or something else entirely? Fortnite fans have just spent a month watching a cube slowly move its way around the map. Its final resting place being Loot Lake where the cube dissolved turning the water purple and making it bouncy (exciting). We thought that was it, maybe some other minor thing would happen just prior to the launch of Season 6, but nothing huge. The only way this could have been more assured was if Rein had put a winky face instead of a smiley one. What is going to happen next with the giant purple cube? There has been a lot of speculation as to where the cube will stop. It seems like the cube has been travelling around the map ruining people’s games for weeks now. However, it could all be coming to an end sooner than we think. Fortnite data miners have been hard at work looking at the game’s code and tracking the path of the cube as it has progressed throughout the map. They have now come to the conclusion that a lot of players will be happy to hear. According to YouTuber DieBuddies the cube will ultimately end its journey at Loot Lake. When can we expect to see something happen? If the epic rocket launch at the end of Season 4 is anything to go by then we could see an event happen as soon as this week. Yes, this weekend we could see the cube actually do something other than mess with gravity and cause you to lose your game. The final update for Season 5 will be coming soon and as usual, will shake up the way the battle royale is played. 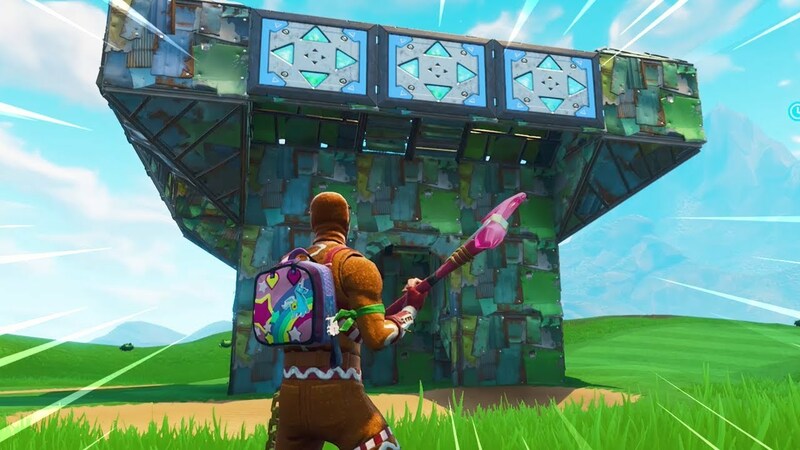 The port-a-fortress will be a usable item in the next update and it’s as cool as it sounds. It will be similar to its smaller cousin the port-a-fort, however, pack more of a punch. Luckily for us, we don’t have to wait until the new item is released to see what it might look like, as Reddit user ‘Feralidragon’ posted a clip of a concept port-a-fortress in action. If the real deal ends up looking anything like this fans of Fortnite should be shaking with excitement as it could be a game changer when it comes to build battles! Season 5 of Fortnite saw the introduction of the epic cinematic scenes highlighting new features. With Season 6 looming on the horizon and speculations as to the next theme ripe, there are a number of fan-made trailers for the next season of Fortnite. One trailer made by YouTuber ‘Sardar’ believes that Aliens will be the main focus of Season 6. With abductions, tall eerie mountains, secret bases and UFOs being featuring heavily in the trailer. Another YouTuber by the name of ‘IOS Gaming’ also believes that an Alien approach is most likely with Season 6 of Fortnite. The fan-made trailer focuses on the unknown with a ‘Blair Witch’ feel to it. Superhero’s and World’s colliding are a thing of the past, medieval knights should also move aside, as Fortnite Season 6 is looking to be the biggest and best one yet. As players get their hands into Fortnite Season 5, they have been speculating as to what the next season’s theme will be. Many YouTubers and streamers have been saying we could see the return of the most sought-after skin in the game ‘The Skull Trooper’. This was a Halloween exclusive skin which was integral to Fortnite Battle Royale’s initial launch and success. A creepy ominous Halloween/horror movie theme is currently the top candidate in the community for Season 6. Areas of the map could easily be overhauled to have a more sinister feel, with Haunted Hills already being an example of that. Werewolf, alien, Frankenstein and more skins could also be part of the battle pass. This has led players to believe that the theme of Season 6 will be ‘water based’ with a great flood taking over portions of the map. This could again lead to new vehicles in the form of boats, and the opportunity for some more brilliant skins. With Battle Royale becoming more popular Fornite is set to have some competition. Fortnite is currently at the top of their game. With $100million being pumped into the competitive scene and profits having just reached $1billion, Epic Games aren’t too afraid of competition right now. With Season 5 off to a great start and sales up, Epic may start to become lax with their updates, not keeping the game fresh and exciting (which is the game’s main appeal). Fortnite Season 6 will have to be the best season yet in order to keep players interested. With the new Season starting late September, Epic games have placed the season at the perfect time in order to compete with the big titles coming in October. Both Call of Duty: Black ops 4 and Battlefield V will have Battle Royale modes and it’s possible Red Dead Redemption 2 may do as well. This is the biggest threat Fortnite has had to face so far. Both COD and Battlefield have massive audiences, a lot of whom have probably switched to Fortnite whilst waiting for the new games. Fortnite Season 6 will have to pull out all the stops in order to keep players engaged. Late September is the perfect time to start a new season with new locations, weapons, vehicles, skins and hopefully game modes. We have seen the weapons in Fortnite changing with every patch since the beginning of Fortnite. Fortnite Season 6 is set to be no different, with big changes in the works for how the guns look and feel. Find out how weapons are going to be changed here. Could we see a catastrophic event take-out Salty Springs? Old Fortnite music could make a comeback? The popular theme tune was thought to be a relic of the past with fans of the game mourning its loss. 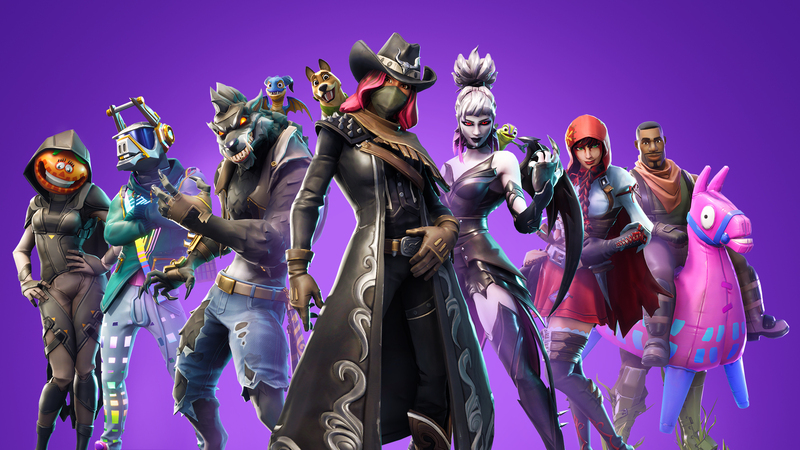 Fans of the original music shouldn’t lose hope just yet as Epic Games has dropped a major hint that it may come back for Fortnite Season 6 click here to read more. Is console cross-play coming in Season 6? The beginning of the end is here for Season 5. Fans have been waiting with baited breath for the reveal of the Traveller skin (this seasons battle pass skin for completing seven week’s of challenges). Week seven challenges are coming out this Friday with a large patch scheduled for Thursday. 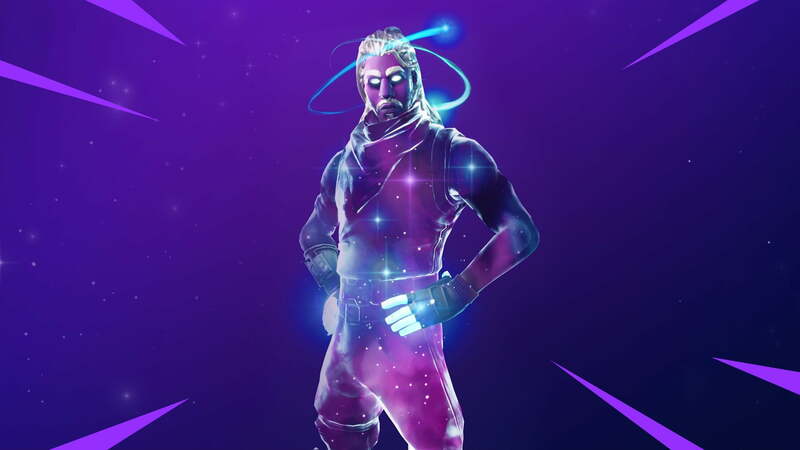 In Season 4 of Fortnite, the ‘challenge skin’ was the character that triggered the rocket, hence, causing the rifts and the events of Season 5. We can expect something similar with Season 6. The Traveller will be pivotal to whatever happens. Many have speculated that it will have something to do with Salty Springs and the secret bunker located there. Is their a hidden message from the stone heads? Could a smaller map be in the works for Season 6? Read more about the new smaller map here! Stone heads may have dropped a huge hint for Season 6! Players have been continuing to rinse the Season 5 Fortnite map for all of its secrets. A new theory has started to formulate around the giant stone heads that appeared around the map at the start of Season 5. With the theme of Season 6 still being speculated on and fans not knowing what sort of event will trigger its start. We are sure to see plenty of new skins in Season 6! IOS users have put millions of hours into Fortnite and made Epic $200 million since it’s release. Android users, on the other hand, have had to suffer silently and for the first time envy the fact they don’t own the latest iPhone. Fortnite for Android still hasn’t got a firm release date and it seems like it now may be delayed even further, potentially as far away as Season 6. Epic games have been in talks with Google about whether they will be selling Fortnite through their platform or independently from them. Google play takes a huge 30% cut on any sales made from apps on their store. This is delaying the process and stopping Android users from getting their mitts into Fortnite. We can expect to see the addition of one or two new vehicles in Season 6 or sooner. It wouldn’t be too hard for Epic games to copy the code across and add the hoverboard into Fortnite Season 6. Although unlikely, this would be an epic addition to the game. Following the arrival of the Rifts towards the end of Season 4 of Fortnite, a number of items were dropped onto the map that hinted at things to come in Season 5. Bones to symbolise the desert. We haven’t seen an addition of any Victorian era areas to the map. Fans have been hoping that a drivable carriage could be added in Season 6. Boats could come in all shapes and sizes so it will be interesting to see if this becomes a feature in Season 6. Season 5 of Fortnite has been the game’s best Season yet. Nearly 80 million people were playing the battle royale game in August making last month the highest player turn out ever. This was largely due to the launch of Fortnite on Android devices and it being the summer holiday for a lot of the game’s younger fan base. With the AAA-titles like Call of Duty and Battlefield now entering the battle royale game, Fortnite’s numbers have come as a huge surprise to those doubting Fortnite’s ability to retain players. Could Battlefield V’s battle royale mode trump Fortnite? Fortnite really has taken over. When is Season 6 landing? Season 5 comes to an end almost a year after the battle royale mode was originally launched on the 27th September. This means that Season 6 will most likely begin the next day. We are hoping Epic Games will be planning something extra special for the next season as an ode to the overwhelming success they have had this year. However, there is a chance the new season could be delayed, click here to read more. What can we learn from season 5? The map had a huge overhaul with new areas to explore including Lazy Links, a wacky golf course and Paradise Palms located in a huge desert biome. An all-terrain golf buggy has also switched up conflicts alongside new rifts dotted across the map that drops you from the sky to pounce on unsuspecting enemies.